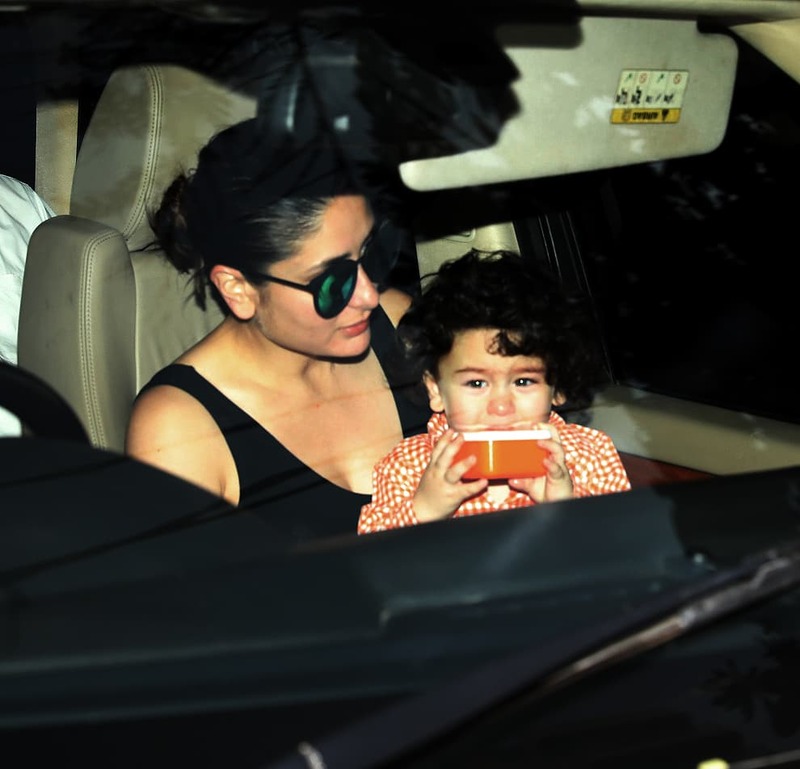 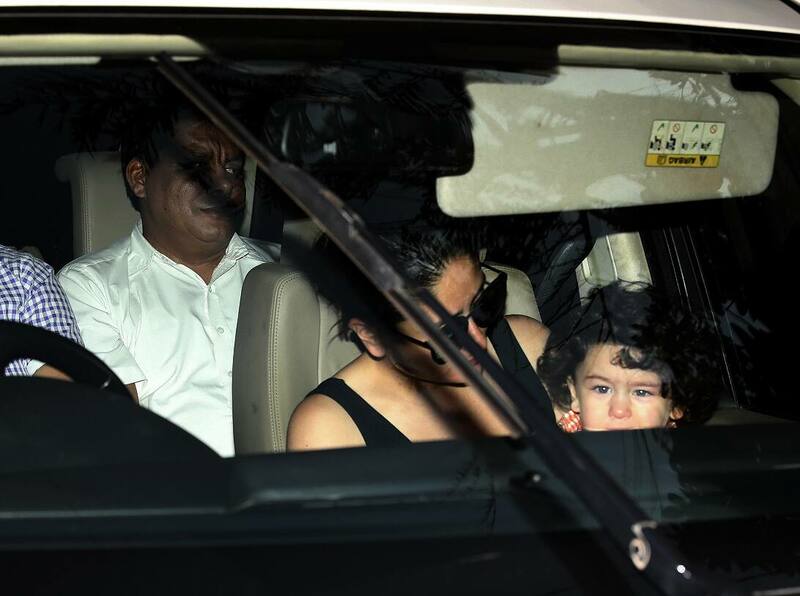 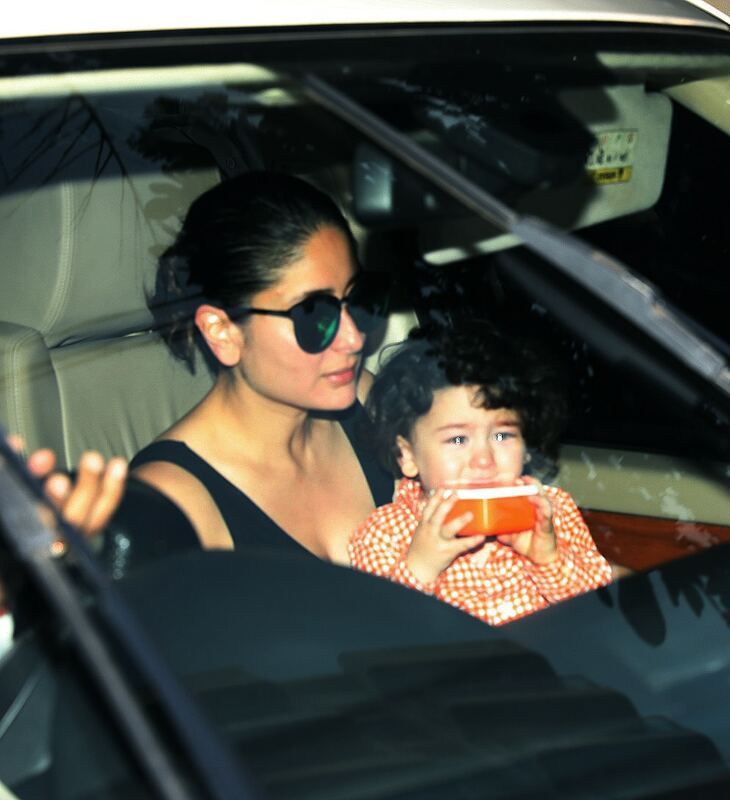 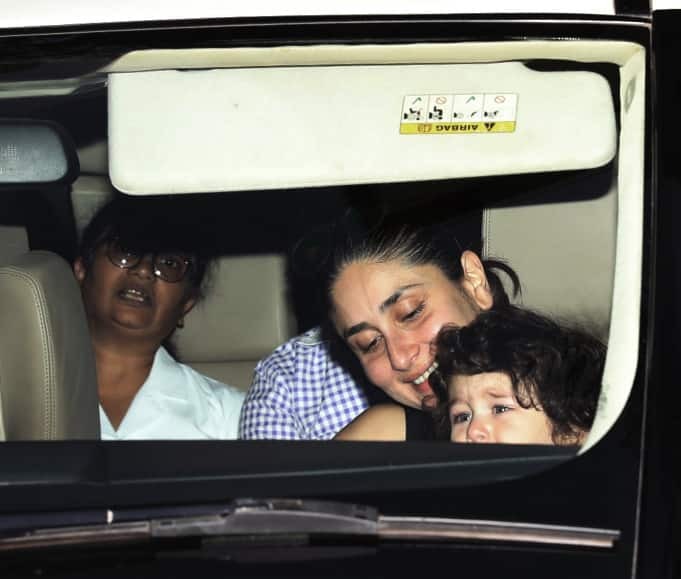 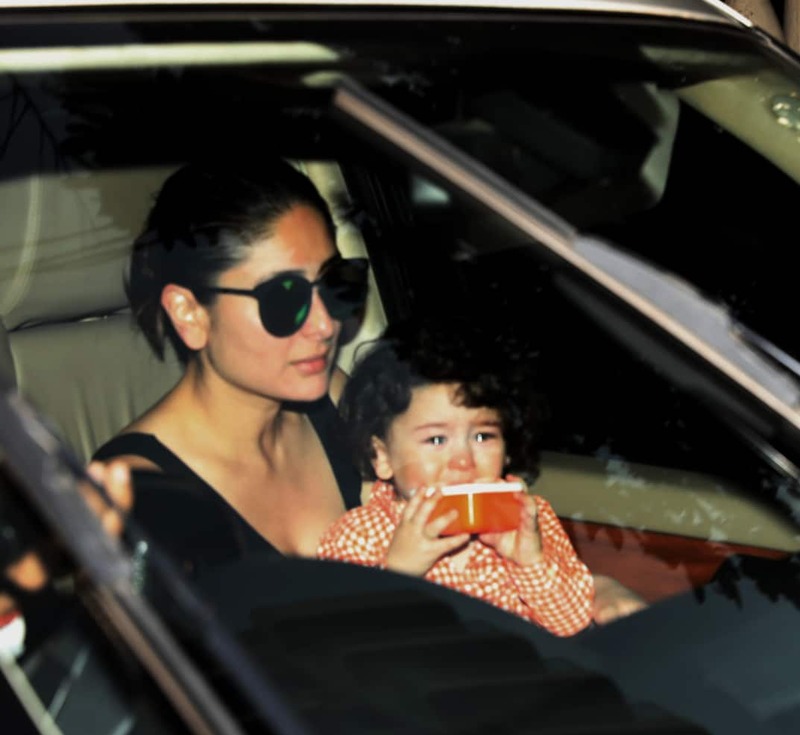 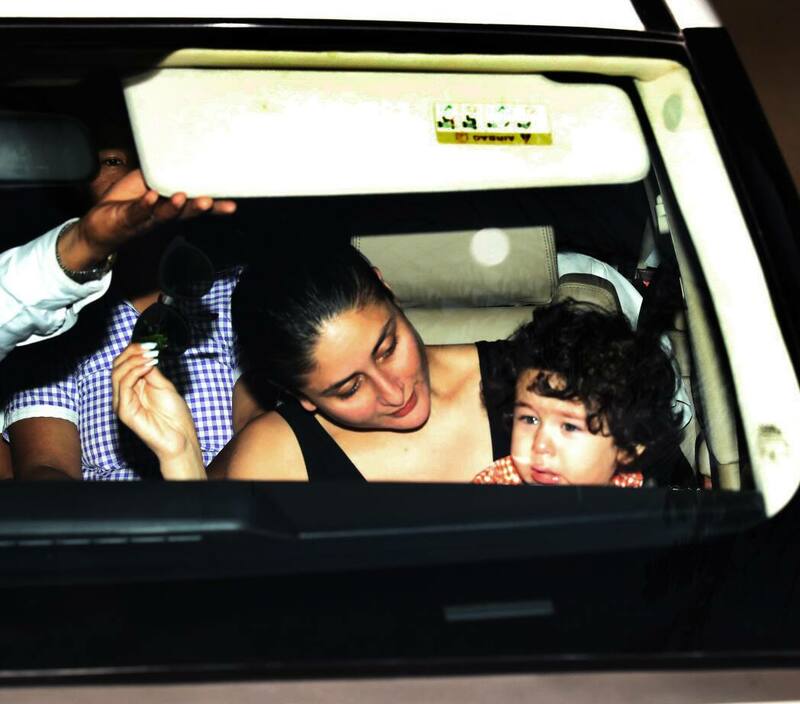 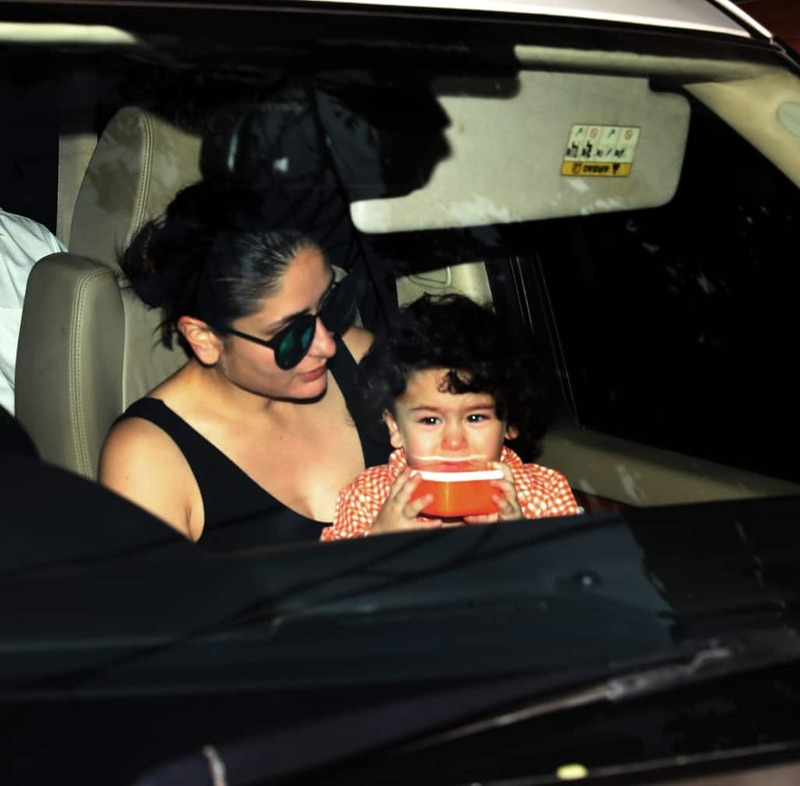 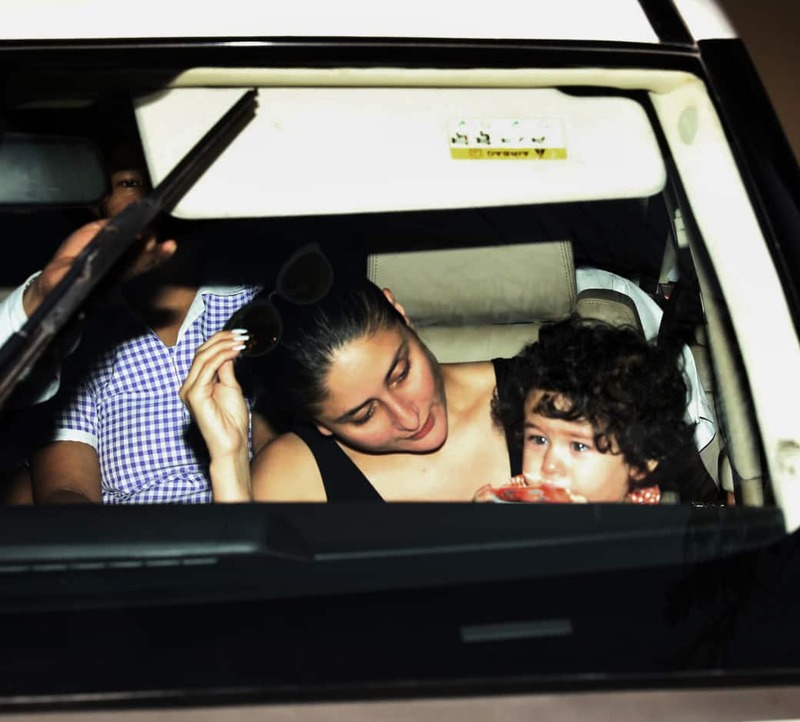 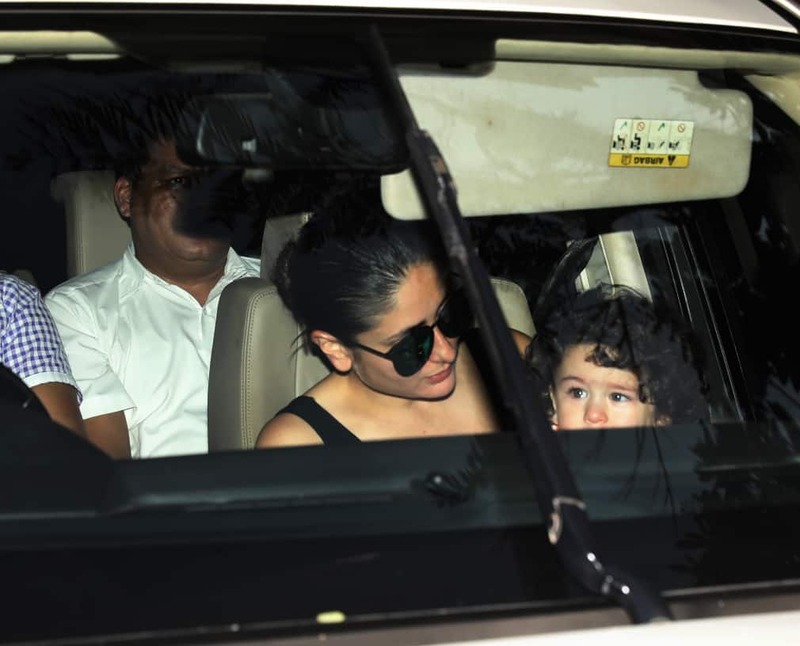 Saifeena's little bundle of joy, who was accompanied with his mother in her car, appeared in a rather cranky mood today. 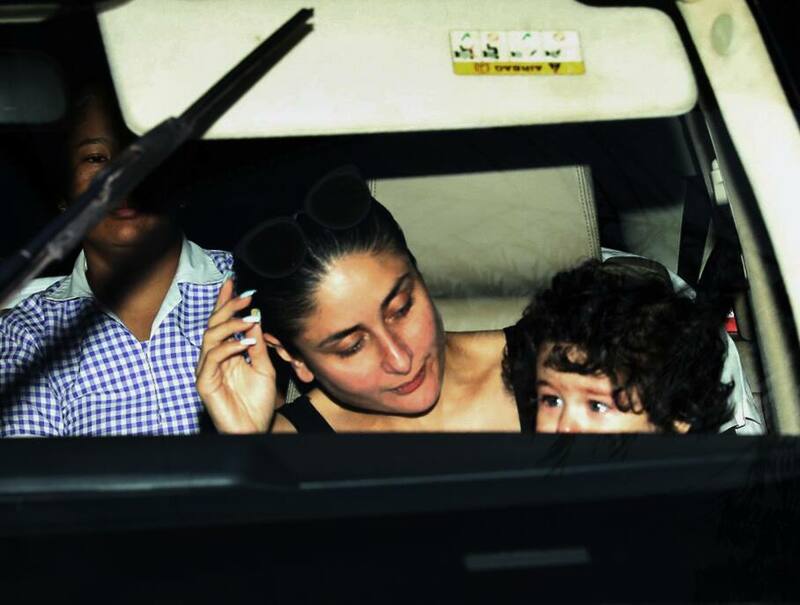 He was spotted crying non-stop and looked not in a mood to be clicked. 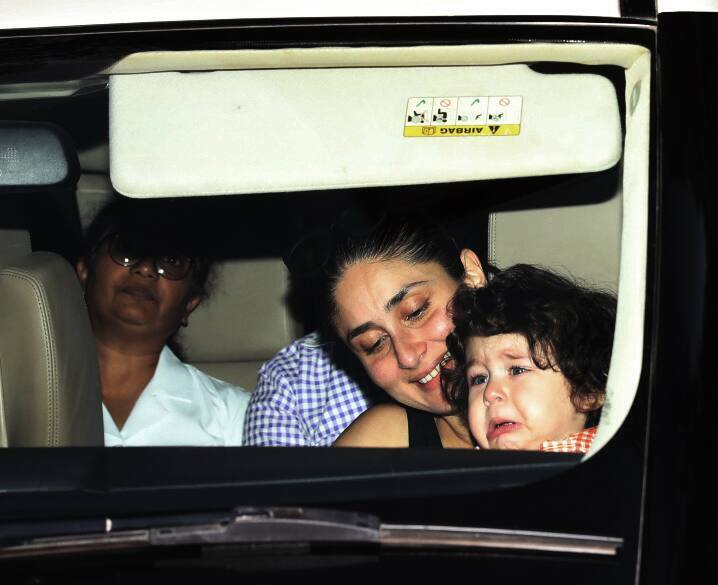 Even though Kareena tried to cheer up her prince charming, the kido didn't stop crying. 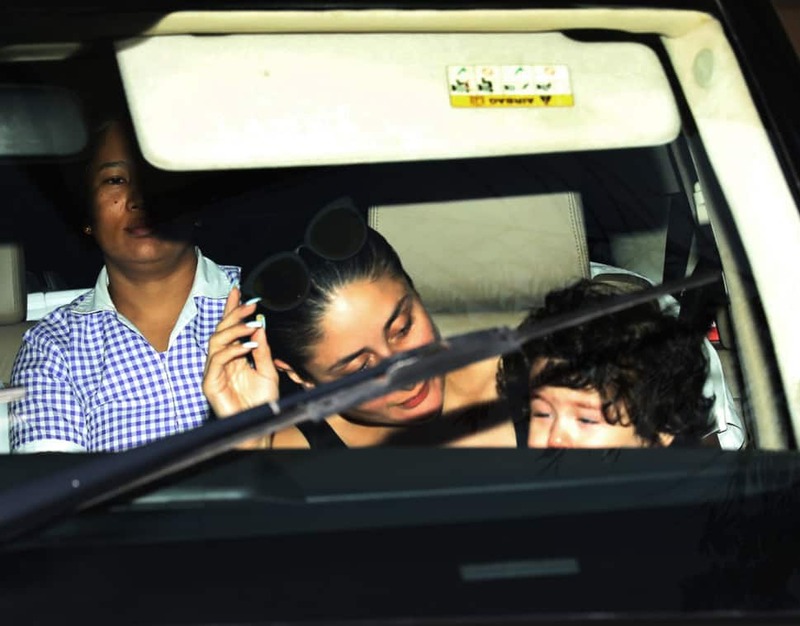 The mother and son duo were spotted outside her friend Amrita Arora's residence.